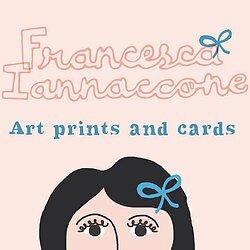 Beautiful art prints and fun, quirky greetings. 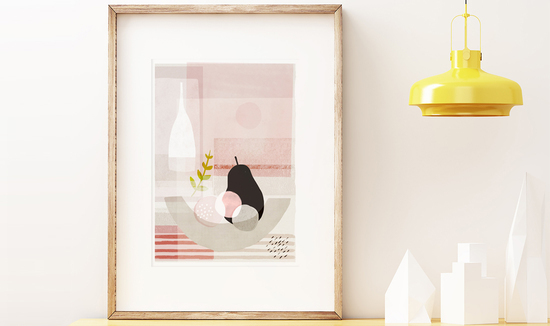 Francesca creates art prints and cards using bright colour palettes, layered textures, and sharp graphics with a mid-century influence - breaking down the detail into shape, colour and pattern. I like bold colour blocks, circles and geometric shapes, pattern and texture, and mid-century imagery from Eames to the French New Wave. 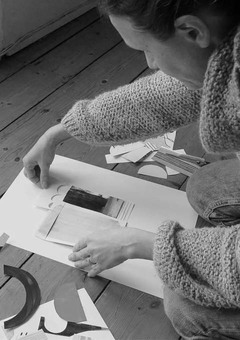 You see it in my work, through my abstract prints, children’s prints, cards and invitations. A strong element of my work comes from childhood experience; images I remember strongly from picture books or my bedroom walls. 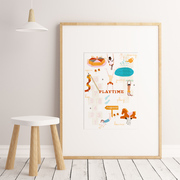 I want my kids to grow up with those kinds of memories too, so I design prints for children's rooms that hopefully parents and children will both love and remember. I love what I do and I want you to feel that when you open your package. I always add a hand-written thank you, because I care about those things. 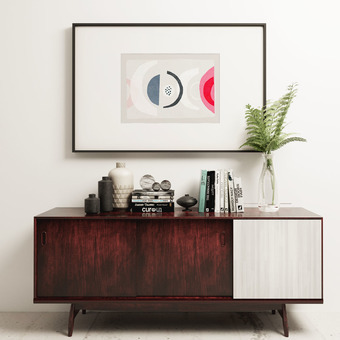 Abstract and graphic prints for the modern home. 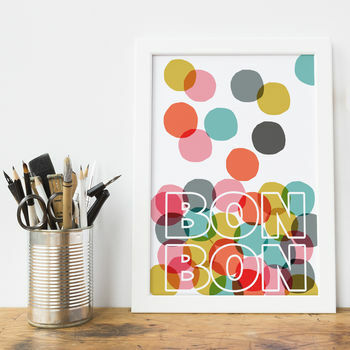 Fun, colourful greetings and children's prints. "The print actually looks better in real life. Bought it as a gift." "Quick delivery, lovely card. Thank you." 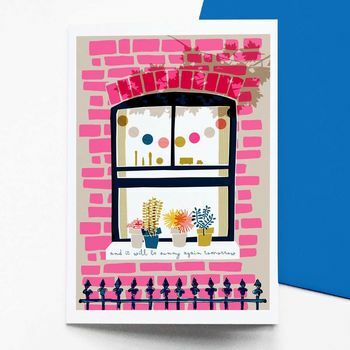 "Lovely quality print and paper and a great fun design for my little girls room!" 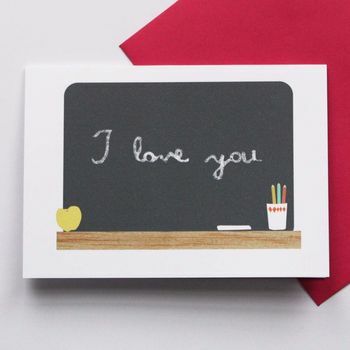 FREE UK DELIVERY for single cards via First Class Royal Mail. I charge a small amount of postage & packing on everything else. I try to give as much info as possible in my listings but if you are unsure about anything please ask. Personalised products are non refundable.